Shafqaat Bukhari is a seasoned senior hotel executive, leader, and strategist. He is highly accomplished and a true veteran hotelier with 20+ years of profit-driven and multi-brands experience in North America and the Middle East. He has worn many hats in senior hotel leadership roles and has worked for the fortune 500 companies and some of the finest hotels including Caesars Palace, Paris Hotel, Planet Hollywood Resort, Bally’s Hotel and MGM Grand in Las Vegas. He has a passion for the hotel business and possesses extensive knowledge and comprehensive understanding of the hospitality field. He is proficient in managing hotels, new hotel development, hotel acquisitions, hospitality asset management, and hospitality project consulting. Shafqaat believes in achieving success through vision and planning. He has rapidly secured profits for the hotel owners, investors and operators in diverse leadership roles through macro advice and micromanagement, by identifying areas of maximum ROI, streamlining operational strategies and tightening cost controls. He has orchestrated optimal hotel performance, achieved competitive advantage and delivered maximum asset value with minimal business risk. Additionally, he is very instrumental with his tremendous experience in new hotel openings and operational ramp-up strategies. 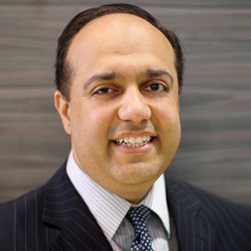 As a senior asset management executive, Shafqaat has developed multiple new hotels and monitored operations of internationally branded luxury hotels including Hilton Worldwide, Marriott International, Hyatt International and Starwood Hotels and Resorts. Shafqaat has earned his Bachelor of Science in Hotel Administration from the University of Nevada, Las Vegas, and advanced education in Hotel Real Estate Investments and Asset Management from Cornell University an Ivy League institution. In his spare time, Shafqaat enjoys reading and indulging his love for exploring new places.